The aim of this work is to examine the catalytic role of copper smelter, copper converter, and nickel smelter process dusts in SO2-to-SO3 conversion at 750°C. To clarify the role of specific oxides in greater detail, synthetic dusts containing varying concentrations of either CuO or Fe3O4 were also studied. All studied dusts catalyzed SO3 conversion. Among the industrial flue dusts, the highest concentration of SO3 formed in the presence of copper smelter dust. Comparing individual oxides, CuO had a greater impact on the SO3 formation. Such catalytic effects of smelter dusts may lead to SO3 concentrations in the process gas so high that sulfuric acid dew point corrosion may occur. In a previous study, the effect of the process gas temperature on the catalytic SO2-to-SO3 conversion was addressed in the temperature range of 275–900°C,12 revealing that the temperature and presence of process dust had a remarkable effect on the SO3 formation. Among the tested temperatures, the concentration of formed SO3 peaked at 750°C, which was thus chosen as the temperature in the current work. Thermodynamically, SO2-to-SO3 conversion is reported to show a maximum at around 500°C in the absence of catalytic species.13 However, the presence of a suitable catalyst such as fly ash affects the kinetics and thermodynamics of Eq. 1, shifting this conversion maximum to about 700°C. In addition to temperature, various other variables also affect the concentration of SO3 formed, namely the partial pressures of SO2 and O2, the presence and concentration of humidity, the content of alkaline, earth-alkaline, and catalytically active compounds in the process dust and deposits, the temperature–residence time profile of the plant, and the application of gas cleaning equipment.14, 15, 16, 17, 18, 19 Iron oxides, which are typically present in high concentrations (12–30 wt.%) in copper flash smelter dust,11,20,21 have been reported to catalyze SO2-to-SO3 conversion.14,16,17 Other oxides that are present in large quantities in process dust include copper oxides such as CuO and Cu2O, silicon oxide (SiO2), and aluminum oxide (Al2O3).22,23 Regarding SO2-to-SO3 conversion, SiO2 has been reported to be inert, whereas Al2O3 catalyzes the conversion to some extent.14 Although Cu2O has been reported to lower the activation energy of SO3 according to Eq. 1,24 very little information is available on the catalytic properties of copper oxides. The aim of this work is to study how the chemical composition affects the catalytic properties of different flash smelter process dusts regarding the SO2-to-SO3 conversion at 750°C. In addition, the catalytic effect of two oxides, viz. copper(II) oxide (CuO) and magnetite (Fe3O4), often found in process dust, was addressed. 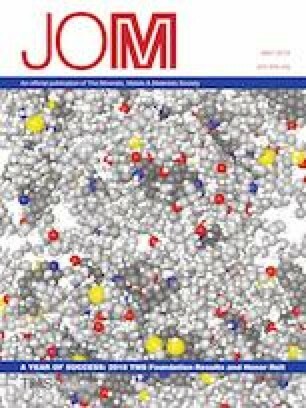 The results are expected to shed more light on the role of specific compounds in SO3 formation. Better knowledge of factors affecting SO3 formation in the heat recovery boiler is desired for process optimization and corrosion prevention. The catalytic properties of flue dusts were first studied using industrial flue dusts collected from a copper and a nickel smelting plant, then with synthetic process dusts consisting of either copper(II) oxide (CuO) or magnetite (Fe3O4). The industrial flue dust samples were collected from the heat recovery boilers of both copper and nickel plants, in addition to one dust sample collected from the converter of the copper plant. Prior to exposure of the synthetic dusts, two oxides, silica (SiO2; Merck, pro analysi grade) and alumina (Al2O3; Aldrich, 99%), were exposed under the same conditions as the samples. The goal was to identify an inert oxide to mix with the studied oxides to obtain different concentrations without changing the sample length. Based on the results (described in detail below), SiO2 was chosen. The synthetic dusts contained 2 mol.%, 10 mol.%, or 25 mol.% of either CuO or Fe3O4, while the rest of the sample was inert SiO2. The effect of the type of iron oxide on the SO2-to-SO3 conversion was studied preliminary, thus two parallel samples containing 10 mol.% hematite (Fe2O3) were exposed to the same conditions as the samples containing magnetite. The experimental setup consisted of a narrow quartz glass reactor with inner diameter of around 8 mm, positioned inside a horizontal tube furnace. The sample and a KCl plug were inserted inside the quartz reactor. All samples were studied at temperature of 750°C, whereas the temperature of the KCl plug was kept at around 200°C to avoid condensation of possibly formed H2SO4. The temperatures were monitored using thermocouples positioned in the furnace but outside the reactor to avoid the possible participation of the thermocouples as catalysts in the studied SO2-to-SO3 conversion. Due to the inertness of quartz in SO2-to-SO3 conversion,14 quartz wool was used to keep the deposit and KCl plug in place. The measurement principle is based on the ability of the KCl plug to capture SO3 from the gas that is fed through it. This originates from the higher stability of K2SO4 compared with KCl,25 meaning that, if any SO3 interacts with KCl, it will be converted to K2SO4. However, KCl is inert to SO2 at 200°C, so the original process gas does not interact with the KCl plug. The measurement technique is described in greater detail in Ref. 12. The density of the studied dusts varied greatly, so instead of having an equal mass, all samples had equal length of 6.0 cm. Due to the possible blockage of the reactor through dust sintering, a narrow gap was left above the sample. The mass of the KCl (Merck, suprapur 99.999%) plug was 0.5 g. The gas mixture mimicking genuine process gas consisted of 50 vol.% N2, 10 vol.% O2, and 40 vol.% SO2. In addition, one exposure for each industrial flue dust was also carried out in an SO2-free atmosphere. This was done to examine the possible SO3 release from the deposit itself. In the exposures without SO2, the gas consisted of 90 vol.% N2 and 10 vol.% O2. The sampling time was 5 min. During the heating, the reactor was flushed with a constant N2 flow at the same rate as during the exposures, viz. 1 dm3 min−1 (RT). The exposures in the absence of SO2 in the gas were carried out once, whereas all the other exposures were carried out twice. A scanning electron microscope (LEO 1530 Gemini) coupled to an x-ray detector (Thermo Scientific UltraDry Silicon Drift Detector) and an energy-dispersive x-ray analysis system (Thermo Scientific ThermoNORAN Vantage x-ray) was used to estimate the particle size of the industrial flue dusts. In addition, the chemical composition of the dust samples was determined before and after the exposures using the same instrumentation. The microscope was operated under high vacuum (around 10−6 mbar) at accelerating voltage of 20 kV in backscatter electron mode for imaging and EDX analysis. To identify different sulfur-containing compounds in the process dusts, both solid and dissolved samples were analyzed to quantify the concentration of sulfur (Eltra CS 2000 induction furnace coupled with IR detectors) and SO42− (ion chromatograph, IC). In addition, a magnetite analyzer (Satmagan 135) capable of quantifying magnetite concentrations in a nonmagnetic medium was used to distinguish hematite from magnetite in the industrial flue dusts. The KCl plug was dissolved in a known volume of deionized water, and the SO42− concentration was quantified using an ion chromatography system (IC, Metrohm Compact IC Pro with Metrosep anion Dual 2 column and Metrohm 732 IC detector) with 2 mM NaHCO2 and 1.3 mM Na2CO3 solutions as eluents. Due to the different retention times of Cl− and SO42− ions, they can be easily distinguished by ion chromatography. In this study, industrial flue dusts collected from a copper and a nickel smelter plant were studied first to clarify their chemical composition and role in catalyzing the SO2-to-SO3 conversion. 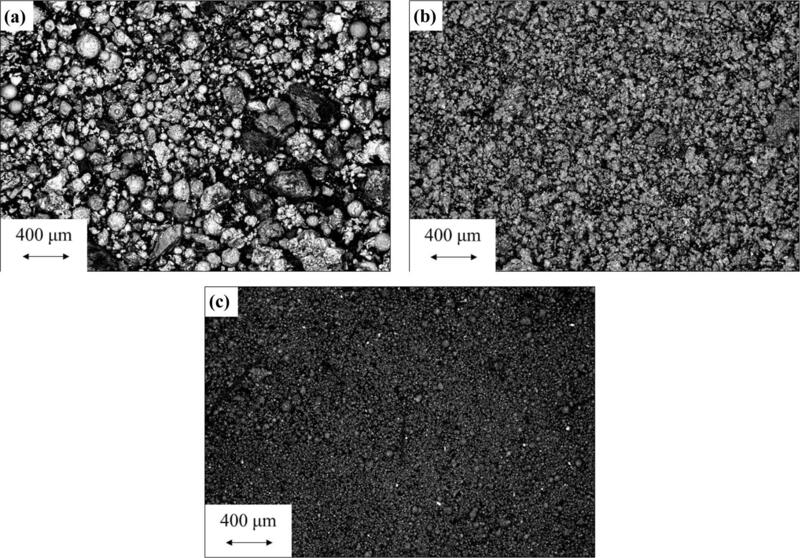 Based on the results of XRPD analysis, SEM, and chemical analysis (Table I), CuO and Fe3O4 were chosen to further specify the impact of these oxides on SO3 formation in a simplified chemical environment provided by the synthetic dusts. Following the timeline of the work, the results for the industrial flue dusts are presented and discussed first in their own subsection, followed by another addressing the synthetic dusts. The analyses were carried out with an ion chromatograph, a magnetite analyzer, and an induction furnace coupled with IR detectors. The morphology and particle size of the dusts did not change significantly during the exposure (Figs. 1 and 2). The dust samples exposed in the absence of SO2 were also imaged, but no differences in the morphology of the dust particles were observed. All samples contained spherical particles, indicating that the particles were partly molten at some point of the process line.27 If the particles reach heat-transfer surfaces while in the partly molten state, they might adhere to the surfaces, resulting in deposits that decrease the heat-transfer efficiency and block the gas flow path.9 Based on EDX spot analyses, the spherical particles consisted mainly of Cu, S, and O, most likely as anhydrous copper sulfate (CuSO4).28 In addition to CuSO4, the round-shaped particles contained small concentrations of Fe, Pb, and Zn. The analyzed dust samples contained altogether more than 15 different elements, the most abundant of which are listed in Table II as averages of three EDX analyses. The copper smelter process dust consisted mainly of Cu, Fe, O, and S, the copper smelter converter dust contained mostly Cu, O, Pb, and S, while the nickel smelter process dust contained Fe, Ni, and O. The presence of lead most likely originated from condensation lead vaporized earlier in the process line. Other metals with low melting points that can be found in converter dust in larger quantities are zinc and arsenic.22 Although As, Zn, and Pb have not been reported to catalyze SO2-to-SO3 conversion, they may play a crucial role in deposit formation due to the low melting points of their compounds such as As2O3, ZnCl2, and PbCl2, to name a few. The sulfur content of the nickel smelter process dust was clearly lower than those measured for the copper smelter dusts. The sulfur contents of the reference samples were significantly lower than in the samples exposed in the presence of SO2, indicating that especially copper smelter dust released sulfur-containing species at high temperatures. 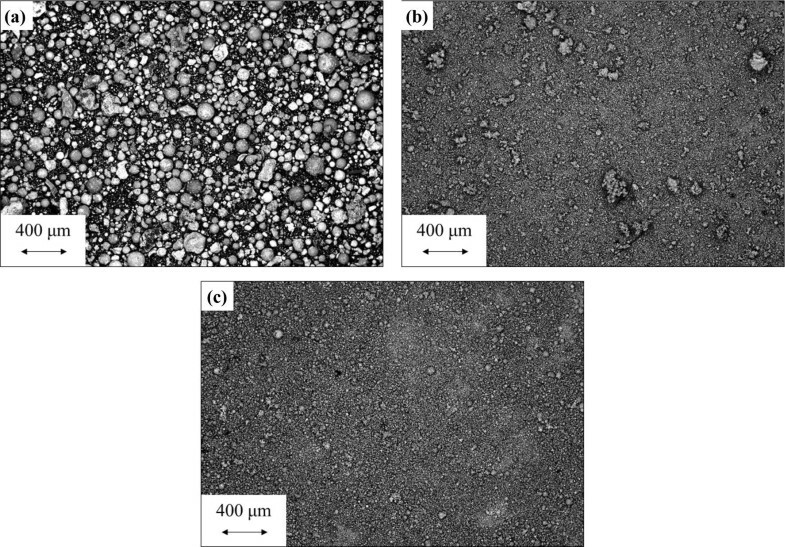 Based on XRD analyses, the following species were identified with high certainty: Cu2SO4, CuO, and PbSO4 in converter dust, Cu2SO4, Fe3O4, Fe2O3, and SiO2 in copper smelter dust, and Ni0.6Fe2.4O4 in nickel smelter dust. It should be borne in mind that, considering the actual complexity of the dusts, their compositions are far more diverse than listed here. However, identification of tracer species in process dusts lies beyond the scope of this work. Putting the focus on iron and copper, both were found at concentrations of at least 10 wt.% in copper smelter dust, whereas the converter dust was rich in copper and the nickel smelter dust in iron (Table II). Based on EDX results, the concentration of iron and copper oxides cannot be reliably quantified, but the analyzed SO42− concentrations (Table I) indicated that roughly 30% of the sulfur in the copper smelter dust was present as sulfates, whereas 4% and 8% of the sulfur was bound in sulfates in the nickel smelter and converter dust, respectively. Regarding iron oxides, roughly 21%, 41%, and 1% of the iron were in the form of magnetite in the copper smelter, nickel smelter, and converter dust, respectively. Other compounds containing Fe, Cu, and/or O included, for example, CuS, FeS, PbSO4, and As2O5.20,22,29 Based on these analyses and previous results,14,16,17,24 iron and copper oxides can be considered responsible for the catalyzed SO3 formation in the present study. With copper content of roughly 24 wt.% and iron content of 11 wt.%, the copper smelter dust catalyzed SO3 formation the most, compared with copper converter dust (27 wt.% Cu) or nickel smelter dust (35 wt.% iron). This suggests that the presence of copper as an oxide has a greater impact on the catalyzed SO3 formation than iron oxide. The role of the two oxides is addressed in detail below when synthetic dusts are discussed. 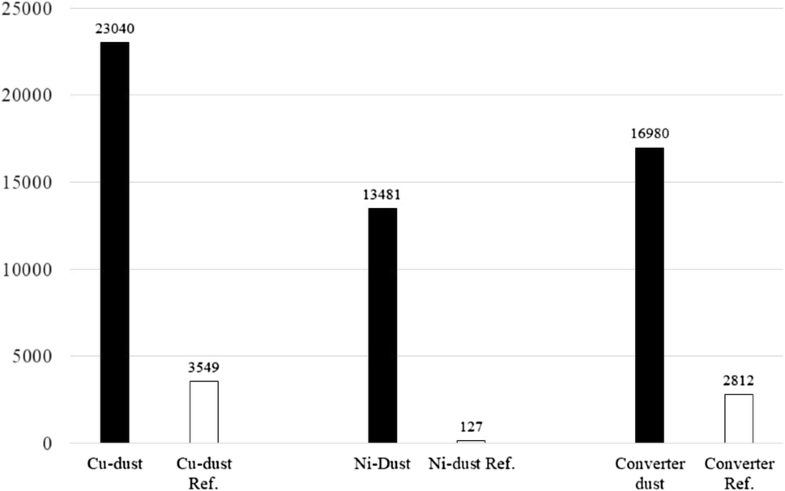 All studied dusts catalyzed SO3 formation, with 23,000 ppm, 13,500 ppm, and 17,000 ppm SO3 formed in the presence of copper smelter dust, nickel smelter dust, and copper converter dust, respectively (Fig. 3). Since the concentration of SO2 in the synthetic process gas was 40% (400,000 ppm), the concentrations of SO2 converted to SO3 according to Eq. 1 were 5.8%, 3.4%, and 4.3% in the presence of copper smelter dust, nickel smelter dust, and copper converter dust, respectively. The concentrations of formed SO3 are somewhat higher compared with the 1–3% reported previously in the same temperature range,30 but the concentration of formed SO3 depends, among other factors, on the SO2 concentration of the process gas, which can vary greatly depending on the feed, copper production method, and location inside the copper processing line. Despite the fact that the nickel smelter process dust clearly catalyzed SO2-to-SO3 conversion, according to industry, less corrosion-related problems are detected in nickel flash smelters compared with copper flash smelters. The reason for this remains ambiguous, but differences in process conditions or feed impurities, or a lower deposit build-up rate, may play a role. In the case of copper smelter dust, there was also notable SO3 formation in the absence of SO2 in the process gas. Since the deposits exposed in the absence of SO2 contained very little sulfur after the exposures (< 1.5 wt.%), the formed SO3 most likely stems from temperature-induced decomposition/oxidation of sulfur-containing species such as sulfates and/or sulfides within the deposit. It is worth mentioning that, from a measurement/technical point of view, the results are very close to those reported previously,12 indicating good reproducibility of the method. To select an inert filler oxide for the synthetic dusts, pure SiO2 and Al2O3 were exposed to the gas mixture at 750°C for 5 min to confirm that the filler oxide would not contribute to SO3 formation. The concentrations of formed SO3 in the presence of SiO2 and Al2O3 were 120 ppm and 80 ppm, respectively. Part of the formed SO3 originates from homogeneous (thermal) conversion, induced by the temperature (Eqs. 1 and 4)31, 32, 33 and enhanced by humidity (Eqs. 5 and 6).33 At 750°C, roughly 25 ppm SO3 was formed from the gas containing 40 vol.% through homogeneous conversion in 10 min, indicating a minor effect of homogeneous conversion on the overall concentration of formed SO3.12 When the effect of homogeneous conversion is taken into account, either of the tested inert oxides could be used as a filler oxide in the synthetic dusts, because the concentrations of formed SO3 were expected to be so much higher than the share originating from the inert oxide, and homogeneous conversion can be neglected. SiO2 was selected due to its better handleability. Al2O3 has been previously reported to slightly enhance SO3 formation,14 although this could not be observed in the present study. The exact reason for this difference can only be speculated upon, but the concentrations of oxygen (10 vol.% in this study versus 60 vol.% in Ref. 14) and/or SO2 (40 vol.% in this study versus 1000 ppm in Ref. 14) in the gas mixture might explain the divergence in the results. Both studied oxides (CuO and Fe3O4) catalyzed SO2-to-SO3 conversion, although the impact of CuO was remarkably greater (Fig. 4). Due to the lower molar mass of CuO compared with Fe3O4, the concentration of CuO in grams is smaller than the concentration of Fe3O4 for the same molar fraction. This suggests that CuO is a more efficient catalyst than Fe3O4 in SO2-to-SO3 conversion. This trend can partly be seen in the results for the industrial flue dusts, as the copper smelter dust with high copper concentration formed more SO3 than the nickel smelter dust with high iron concentration. The higher SO3 concentration formed by the copper smelter dust than by the copper converter dust can be explained by the presence of both iron and copper in the smelter dust. The concentration of oxides did not have an unequivocal effect on the concentration of formed SO3; comparing the samples with 2 mol.% and 10 mol.% of either oxide, the SO3 concentration increased. However, a decrease was observed when comparing the samples with 10 mol.% and 25 mol.% of either oxide. 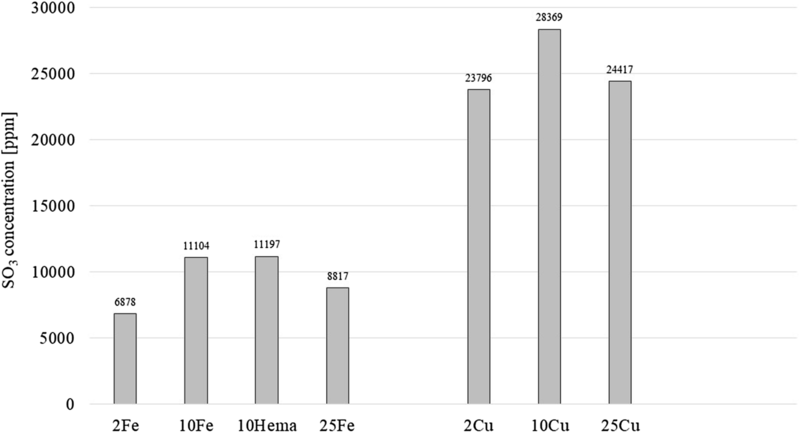 The concentration of formed SO3 has been reported to increase linearly as a function of Fe2O3 at 700°C up to 25 wt.% of Fe2O3,17 but similar behavior was not observed in this work. The reason was not investigated further, but it should be noted that the experimental setups and methods used to quantify the formed SO3 were completely different. Interestingly, the catalyst concentration has also been reported to show a maximum, above which higher catalyst concentrations result in a lower conversion rate.35 The similar results of the exposures with 10 mol.% Fe3O4 or Fe2O3 suggest that Fe3O4 oxidized to Fe2O3, which occurs at temperatures above 500°C36 at oxygen partial pressures well below that in the present study.37 Formation of Fe2O3 was verified by XRD analysis after the exposure, but the point of the exposure at which this transition takes place remains unclear. Therefore, it is better to consider the results in the light of iron oxides in general rather than focusing on a specific type of iron oxide. Since both iron and copper are present in the process dust and in deposits of the heat recovery boiler of a smelter, it is a justifiable assumption that both oxides are responsible for SO3 formation in the heat recovery boiler of a smelter plant. Based on these results, it is clear that both the industrial and synthetic deposits catalyzed and enhanced SO3 formation. In addition to Fe2O3 and CuO, other oxides such as PbO are also known to catalyze SO2-to-SO3 conversion.30 Although more research should be carried out for comprehensive clarification of which oxides in smelter plant deposits are relevant for SO2-to-SO3 conversion, iron and copper oxide contribute significantly to SO3 formation (Eq. 7). In addition to a suitable catalyst, formation of SO3 in the heat recovery boiler requires oxygen, which is available due to its addition to the process to ensure effective sulfation of the flue dust. It should also be noted that, in addition to SO3 formation in the heat recovery boiler, SO3 can also form in the smelting or converting furnace and when entering the heat recovery boiler, increasing the overall concentration of SO3. As mentioned in the “Introduction,” the formation of SO3 together with the presence of humidity enables sulfuric acid (H2SO4) formation. The dew point temperature of H2SO4 depends on the SO3 and H2O concentrations.31 Different empirical equations have been proposed to predict the dew point of sulfuric acid as a function of the concentrations of SO3 and H2O. The Verhoff–Banchero equation (Eq. 8)38 has been successfully used in applications addressing lower SO3 concentrations,31,39,40 but is not accurate when applied to acid dew point calculations with very low SO3 and high H2O concentrations.41 The partial pressures in Eq. 8 are expressed in mmHg, and the sulfuric acid dew point in K. Another equation (Eq. 9)9 provides better predictions of the acid dew point at high H2O concentrations but loses accuracy at low H2O concentrations.41 The partial pressures in Eq. 9 are expressed in mmHg, and the sulfuric acid dew point in K. To overcome the shortcomings of these two equations, a more recent equation (Eq. 10), based on 188 validated data points, has been developed.41 The partial pressures in Eq. 9 are expressed in mmHg, and the sulfuric acid dew point in °C. In addition to the equations presented above, new computational approaches based on an artificial neural network model42 or Vandermonde matrix43 have been developed to estimate and predict the effect of the SO3 concentration on the sulfuric acid dew point temperature. However, none of the abovementioned approaches has been developed to predict the sulfuric acid dew point for SO3 concentrations above 1000 ppm. Therefore, before these models can be applied to flash smelting environments, work should be carried out to validate the existing models for high SO3 concentrations. Another possibility is to develop a new model which takes high SO3 concentrations into account. To provide a perspective on how the measured SO3 concentrations might affect the sulfuric acid dew point, it was calculated using all three equations presented above. The results are presented in Table III. The calculations were carried out for a humidity level of 5 vol.% (38 mmHg), a typical value for copper flash smelter heat recovery boilers. Depending on the equation used, the calculated dew point temperatures differ by 30 K at most, with Eq. 8 predicting the highest dew point temperatures, Eq. 9 the lowest values, and Eq. 10 intermediate values. As mentioned above, none of these equations has been validated for high SO3 concentrations, so it cannot be stated which one would be most suitable for application in the flash smelter environment. Nevertheless, the large deviation in dew point temperatures obtained when using the different equations suggests that a predictive tool applicable for high SO3 concentrations is required. Among the calculated dew point temperatures, the highest sulfuric acid dew point of 233°C is only around 40°C below the lowest heat-transfer surface temperature of 275°C. Although the calculated value is most likely an overestimation, it demonstrates how close to one another the material surface temperature and sulfuric acid dew point temperatures might be. This becomes even more important in situations in which the heat-transfer surface temperature might decrease below the sulfuric acid dew point due to pressure fluctuations or maintenance shutdowns, resulting in sulfuric acid condensation and, most likely, material degradation. It should be noted that the calculations presented in Table III were carried out at only one humidity level. Since the sulfuric acid dew point temperature depends also on the partial pressure of H2O in the process gas, factors such as air leakage could increase the concentration of water in the process gas and thereby affect the acid dew point temperature. Despite the uncertainty regarding the accuracy of the calculated dew point temperature, it is obvious that smelter dusts play a role in SO3 formation. It has been reported that, at temperatures above 400°C, SO2 is the favored species of oxidized sulfur instead of SO3.9 However, the high concentration of SO2 in the smelter process gas and the presence of a suitable catalyst enable formation of SO3 in quantities high enough to lower the sulfuric acid dew point temperature in a flash smelter. All the industrial flue dusts catalyzed SO2-to-SO3 conversion: copper smelter dust the most and nickel smelter dust the least. Regarding the synthetic deposits, both studied oxides (CuO and Fe3O4) catalyzed formation of SO3. Among the two studied oxides, CuO had a greater influence on the SO3 formation than Fe3O4. The greater conversion efficiency of CuO explains the higher concentrations of SO3 formed in the presence of industrial flue dusts with high copper content. The concentration of catalytic oxide in the synthetic dusts did not play a major role in terms of the conversion efficiency. The catalytic abilities of the dusts might form concentrations of SO3 sufficient to enable sulfuric acid dew point corrosion at temperatures close to the surface temperatures of heat-transfer components in flash smelter heat recovery boilers. Open access funding provided by Abo Akademi University (ABO). This work was carried out within the Academy of Finland Project “Novel Approaches to Study Corrosion Mechanisms in High-temperature Industrial Processes” (Decision No. 296435). Financial support from Boliden Harjavalta and Outotec is gratefully acknowledged. In addition, the authors would like to thank Mr. Janne Hautamäki for the dust samples, Mr. Luís Bezerra for carrying out the IC analyses, and Mr. Linus Silvander for operating the SEM apparatus.